Nobody enjoys having mice in their house. What is worse, however, is forgetting about those snap traps that you left hidden in the basement closet only to remember when the smell of dead mice or rats reminds youwhere you placed them. There have fortunately been several improvements in mice and rat traps over the years. Instead of simply opting for those cheap, wooden snap traps that you fear might snap on your finger as you nimbly place them in hidden corners of your home, the best electric mouse trap is a simpler and cleaner way to rid your home of those unwanted rodent guests. This electric mouse trap is one of the more expensive options on the market. However, the trap is powered by four AAA batteries, which will last up to 60 days. 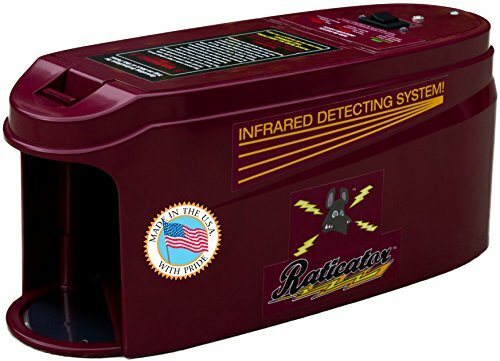 This will allow you to effectively get rid of the entire population of rodents in your home with one set of batteries. 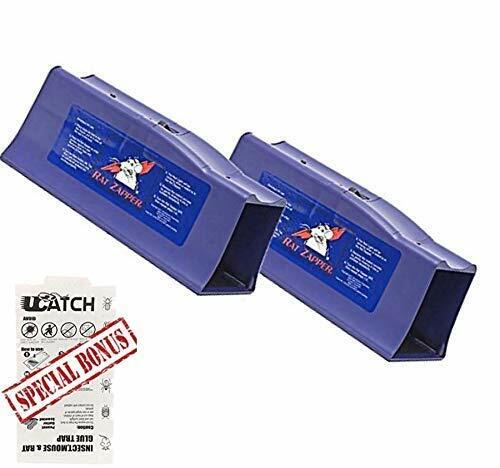 This product has thousands of positive customer reviews, and many people report discovering their first dead mouse or rat the day after placing the trap. Victor is one of the most trusted and well-known names in rodent pest control. This company most likely fabricated the snap traps that your grandparents used to get rid of the rodents in their home. The electronic mouse trap that they offer is said to be able to kill off 100 mice or rats with one charge of 4 AA batteries. The unique tunnel design with this electric trap is also a great way to keep kids and pets safe. 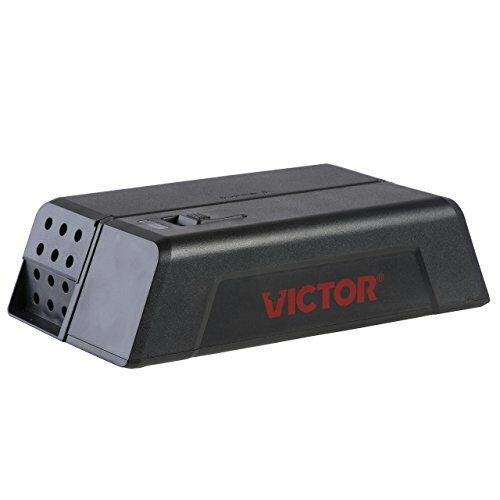 Furthermore, the Victor electronic mouse trap is specifically designed for mice, which are the most common intruders in homes. You will need to make sure to use high-quality alkaline batteries, as cheaper and less powerful batteries might not deliver the necessary shock to kill the mice. This model is also one of the less expensive options. 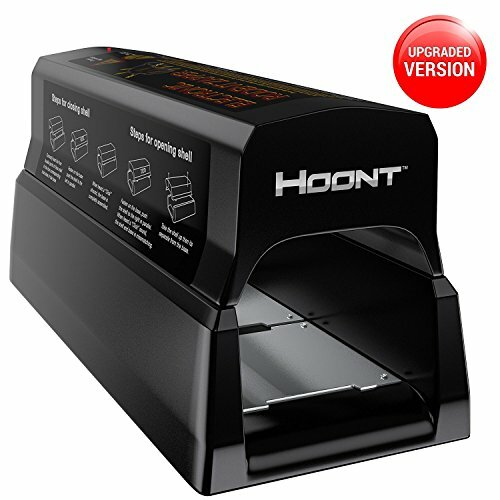 The company Hoont also offers an electric rodent trap that is a bit different from the others reviewed here. This trap comes in two pieces and requires modest assembly. A large metal plate is installed on the entire floor of the trap and mice and rats are instantly killed once they make contact with this metal flooring. For your convenience and safety, a red light alerts you to not touch the advice while the voltage is being released to kill a rat. When the light turns green, you are safe to gather the dead rodent. The two-part design of this device makes it easy to take apart for quick cleanup. This electric mouse trap certainly has a quality name for an electric mouse trap. What sets this electric trap apart from the rest is that it uses infrared sensors to only activate the voltage when a rat or mouse is detected inside the trap. Furthermore, this trap is heavy enough that even large rats will not be able to move it once they are inside. You can also opt to purchase a monitor that will alert you when a rat has been killed so that you don’t have to go check the traps in obscure areas of your attic every couple of hours. Finally, we come to the simply and aptly named Rodent Terminator. This is one of the only electric mouse traps that is waterproof and can be placed outside to catch rats and mice before they make their way into your home. An automatic circuit disconnect will protect you from accidental shocks when cleaning the trap or to dispose of dead mice. People have discovered the efficiency of the electric mice traps and are showing that they are to spend a little bit more money for the improved efficiency and hygiene associated with these types of traps. There are several companies producing electric mouse traps on the market today. Above, we review the top five products available to help you quickly and efficiently get rid of your rodent problem. While many people might believe that having mice in the home is simply a nuisance that plays on the phobias of people who are irrationally afraid of tiny and seemingly harmless creatures, the reality is that mice and rats can carry extremely dangerous diseases into your home. Hantaviruses are one such disease that can dangerously affect your lungs and respiratory system, and several mice and rodent species have been proven to be carriers of these viruses. The urine and feces that they leave throughout your home could potentially infect you or your family with this dangerous virus. Deer mice are also known to be carriers of lime disease that they pick up in the wild. Furthermore, mice feces, especially in the kitchen area where they are attracted to food crumbs and smells, can cause a wide variety of diseases such as salmonella or leptospirosis. Though most mice and rats will hide from humans in a home, the unfortunate event of a rat bite can also cause Rat Bite Fever (RBF). This dangerous medical condition is transmitted through bacteria in the rat’s mouth. Lastly, even if you are not finding rat or mouse droppings scattered throughout your home, rodents can bring different types of fleas known as rodent fleas into your home. If these bugs get into your bed or furniture and bite you, this can lead to serious health issues such as typhus or rat plague. Though some people may consider it inhumane to kill a seemingly defenseless mouse, the potentially serious health problems that they harbor should convince every homeowner to invest in the best electric mouse trap. What is an Electric Mouse Trap? An electric mouse trap is essentially a small box where bait is placed. Once the rodent enters the trap, a high voltage current is sent throughout the body of the mouse or rat producing a kill in as little as five seconds. The electric shock occurs because, once the rat or mouse enters the trap, it completes the circuit and causes the voltage to be released into the body of the intruder. Furthermore, many of the best electric mouse traps on the market have a tunnel entrance that is designed to only allow enough space for rats or mice to enter into the trap. This protects a curious pet or child from reaching into the trap to receive an unpleasant shock. Most electric mouse traps run on battery power, and the batteries are designed to last for anywhere from 10 to 100 electric pulses or shocks. Furthermore, many of the best electric mouse traps on the market today also automatically go into “shut-off” mode when the door is open. This will protect you from accidentally receiving a shock when emptying the trap or adding new bait. These trap options are considered to be an effective, humane, and sanitary way to deal with rodent infestations in the home. Mice and rats are actually pretty smart creatures and they have learned over time to be wary of new food sources or other objects. If you place a live electric mouse trap, some mice might choose to stay away from it out of fear of the unknown. Furthermore, mice are fast learners, and if they see a mouse enter into an electric trap in search of food and never reappear, they might learn to stay away. To maximize your possibilities of catching mice with an electric trap, it is best to place the turned-off trap without batteries in a place where you have noticed an accumulation of rodent feces. Let the mice and rats get used to the new object for a couple of days before adding batteries and baiting it with food to attract the rodents into the trap. Also, rats and mice can be picky eaters. Never place spoiled or rotten food as bait as this will only repel the rodents from the electric trap. Furthermore, if you are not having any luck catching the mice, try putting out different types of bait (such as cheese, peanut butter, seeds, and other bits and pieces of food). When you notice what bait the rats and mice most seem to prefer, add that bait to the inside of the electric traps. One of the dangers of leaving rat or mouse poison throughout your home is that you always run the risk of a pet or a child accidentally coming in contact with the poison. Even the best-hidden rat poison can be found by a curious dog or cat, and the consequences could be devastating. One of the main benefits of the electric mouse trap is that you can effectively get rid of large populations of mice and rats without coating your home with dangerous insecticides. Rodents that ingest poison also run the risk of not dying in place, but rather making their way into the walls of your home where they then die. Once you discover the smell of decomposing vermin in your walls, it might be a costly renovation to get rid of them. Electric mouse traps are widely considered to be the most humane way to kill unwanted mice and rats in your home. Whereas poisoning rodents can lead to a slow and painful death and snap traps and glue traps can leave a mouse maimed (meaning you´ll have to finish the job), electric mouse traps effectively kill rats in as little as five seconds with quick and powerful voltage currents. Another benefit of these types of traps is that they make it easy and sanitary to get rid of the rodents that are killed in the traps. You never have to touch the rodent, but rather can simply pick up the trap and empty the dead animal into the trash. Remember to clean out the inside of the electric mouse trap before placing it back in a corner of your home as rats are repelled by that infamous “dead mouse” smell. Electric mouse traps also offer the benefit of being a long-lasting solution. One set of batteries will last for anywhere between 10 and 100 kills, meaning that you will not have to spend a lot of money on replacing batteries every time a kill occurs. Since the electric voltage is only activated when the rat or mouse is inside the trap, the batteries will last a long time. Finally, electric mouse traps are one of the best ways to get rid of rodents of every size. While smaller mice might be able to steal the bait from snap traps through not being heavy enough to trigger the device, electric traps will “zap” a mouse no matter how tiny it is. As previously mentioned, electric traps are considered the most humane method to eradicating your rodent population. Any of the above products will provide an efficient, guilt-free tool that guarantees results.